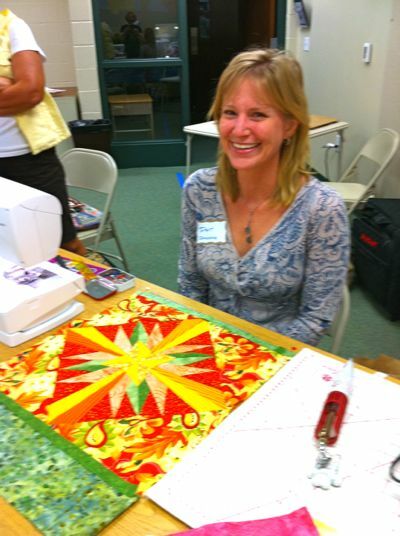 I just returned from Bloomington/Normal, IL where I lectured and taught for a wonderful quilt guild, the Hands All Around Quilt Guild. Because of the flight options, I chose to fly in the day before presenting my evening lecture. That meant I had a free day to shop. I know, it is a tough job, but I muddled through with the help of my two new best friends, Barb and Virginia. 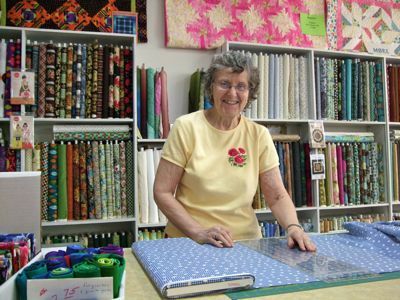 First stop was the Sewing Studio where we shopped for 30’s fabric, Virginia’s favorite and I was looking for some batiks to work into a cruise project. 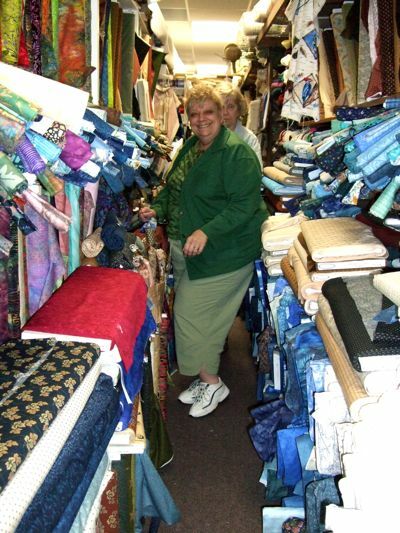 Everyone was delightful and Virginia hit paydirt with some “sale” fabric. 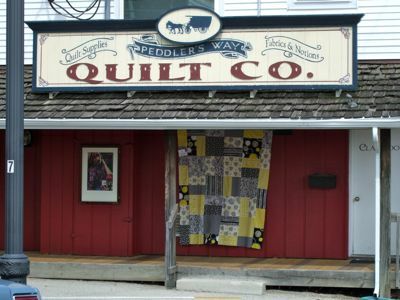 Then we headed to Washington, IL where we had a delightful lunch …we needed it to have strength to shop at the lovely Peddler’s Way. 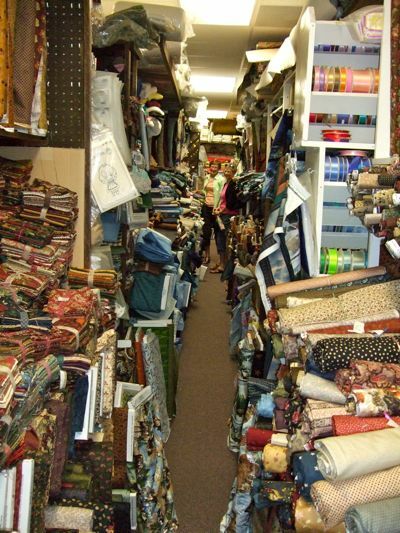 We wandered through the various rooms and even climbed the stairs to an entire new level of fabrics. 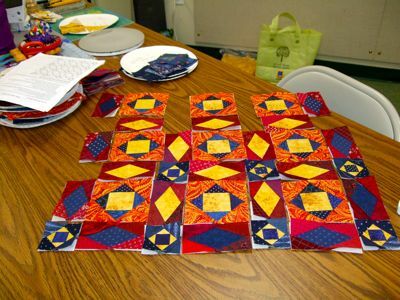 I found some perfect batiks. 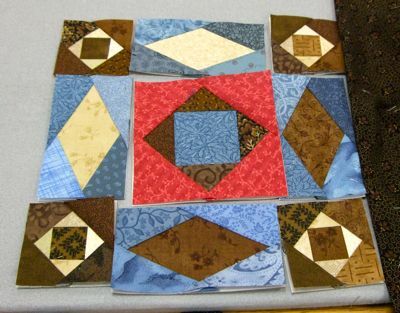 Virginia found a Block of the Month that made her heart sing! 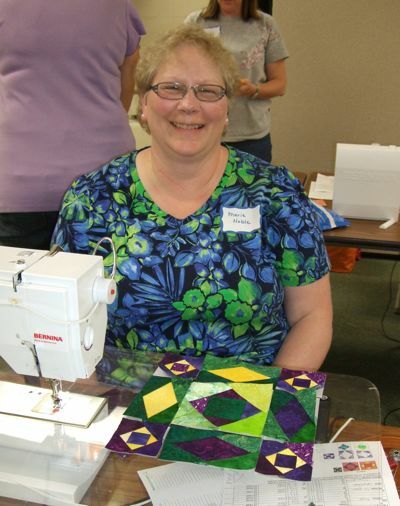 Next we were off to another quilt shop in Morton, IL called The Quilt Corner. However, we were traveling through the farm country and stopped at a fun pumpkin patch. 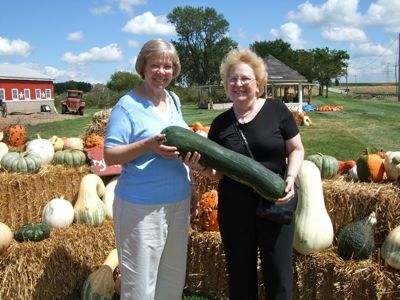 Virginia bought a gourd and I contemplated this fun squash…should I buy it?, my…how would I get that on the airplane???? 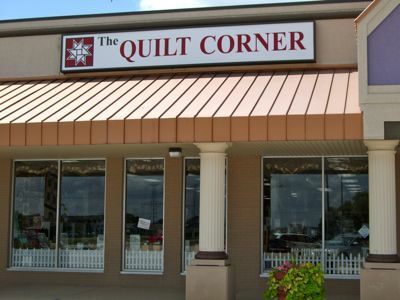 Surprisingly, the Quilt Corner is not on a corner. It is in a mall. 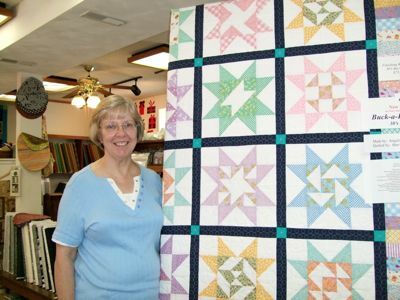 I walked in the door and saw all the lovely quilts hanging around the shop and remembered that I had been here once before. Amazing how you can remember how a particular shop looked. 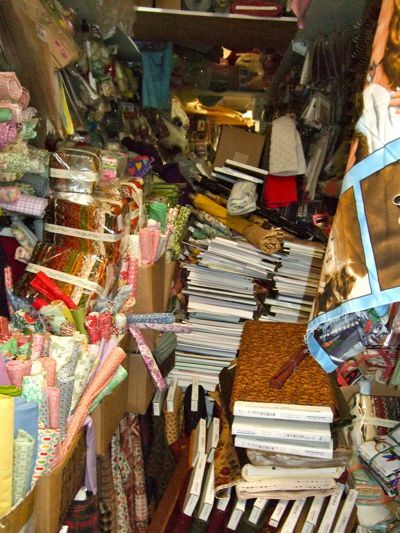 A really fun shop full of lots of kits and super fabrics! But I was here to teach classes after all…..so on to classes. 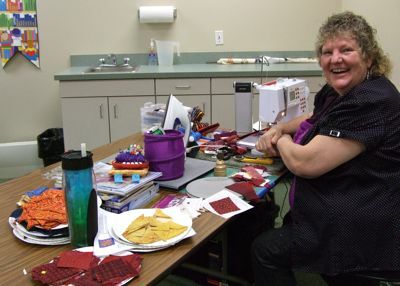 The first day I taught the Sunrise Quilt class and geeze…we are so busy, I forgot to take any pictures with my camera. I did take a few with my phone though. 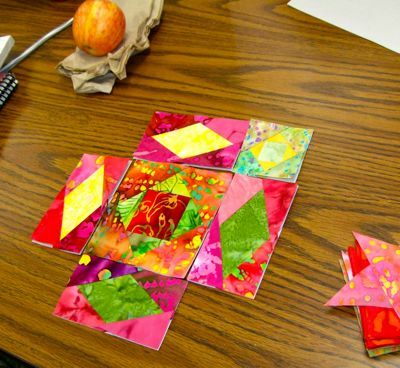 On Saturday, I taught the Sunset at Sea class. 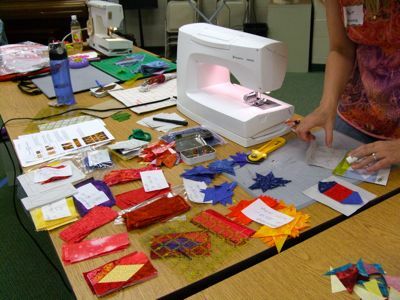 Everyone came with their fabric precut and ready to jump in and sew. 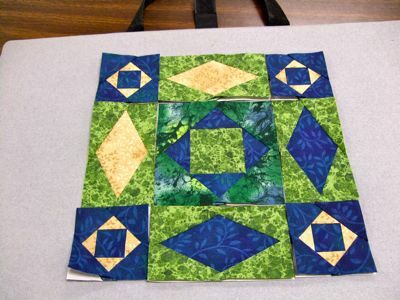 Loved this color combo…. This one is going to sing tropical….think she was inspired by that apple? Here is another combo that will take on a neat look. Look what Trish accomplished! 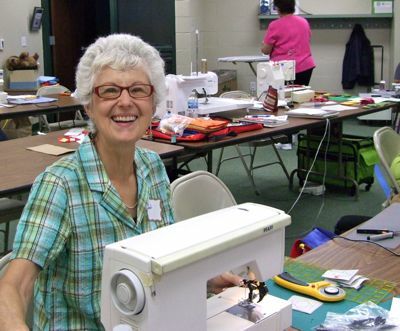 She was a house afire with her sewing machine. 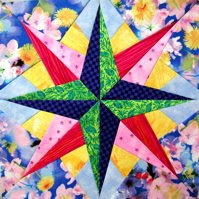 So class is ending and I am offered the opportunity to visit yet another quilt shop. I am never too tired and to shop. 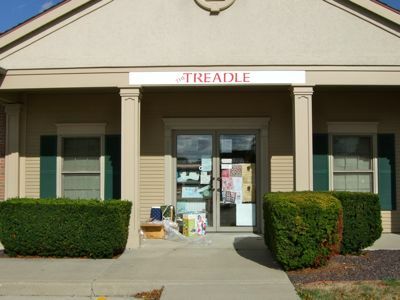 So off to the Treadle in Bloomington, IL we go. 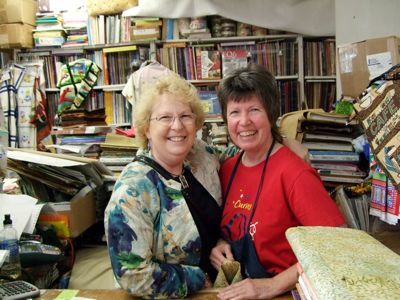 We were warmly greeted by the owner, Vicky. We walked in the door and it was apparent that Vicky had some fabric. 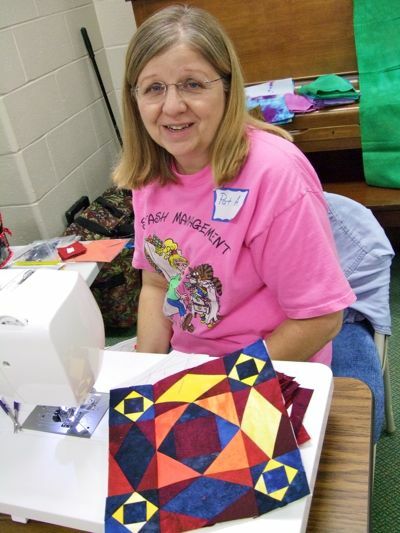 Barb headed off one aisle looking for the perfect batik to use as setting triangles for her Sunrise Block. I even saw one of my out of print books on the shelf. I could get lost in here. But I understand Vicky knows exactly where everything is. Amazing mind. I scootched in to stand behind the counter with Vicky. 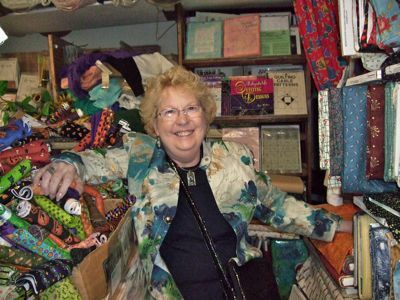 If you are looking for a particular fabric or book, my bet is on Vicky that she not only has it, she knows where it is in the shop. 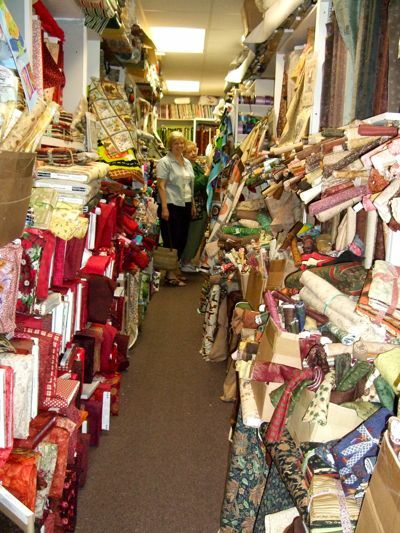 If your hubby thinks you have too much fabric, bring him here, he will think you are a Saint! 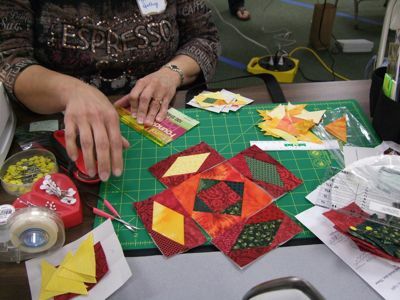 Thanks Hands All Around Quilters for a really fun trip!